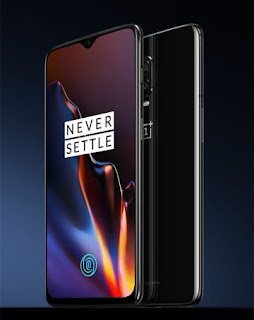 Finally,Oneplus has launched their latest smartphone called Oneplus 6T in an event at New York.It comes with lots of improvements over it's predecessor Oneplus 6.It comes with improved camera,battery and indisplay finger print scanning system. Oneplus brings in display finger print scanner to US at first time with this new handset.Its finger print scanner will unlock the device within .34 seconds with its complex algorithm and Oneplus call it as Screen unlock. The Oneplus 6T comes with small tear drop notch on top of display and it's chin bezels also minimised than its predecessor.It is made with premium metals unibody design and slim cut-out design.It has 157.5 mm height,74.9 mm width,8.2 mm thickness and weighs up to 180 gm. Oneplus 6T arrives with a 6.34 inch optic AMOLED display with 2340×1080 pixel resolution at 19:5:9 aspect ratio which makes 86% screen to body ratio.It features 600 nts brightness and 402 ppi density,moreover it is protected with Gorilla Glass 6. 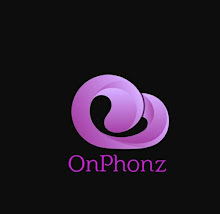 Like it's predecessor,its power is coming from 2.8 GHz Snapdragon 845 octacore processor and Adreno 630 GPU.The SoC is mated with 6GB/8GB RAM and 128GB/256GB internal storage.It runs on smooth navigation gestures supported Oxygen Os which based on latest android version Android 9 Pie. Pointing to camera segment,Oneplus 6T upgraded with a Nightscape mode which is capable to capture high quality photos in low light conditions.It also comes with a new feature called Studio lighting.The camere configurations fitted with dual camera setup on rear.It consist a primary 16MP features f/1.7 aperture,1.22 um pixels and Sony IMX 519 sensor and secondary 20MP features f/1.7 aperture,1um pixel size ,IMX 376 Sensor.The rear camera are supported with dual LED flash and features OIS,EIS,HDR and 4k video recording.At front it has 20MP single snapper with f/1.7 aperture,1 um pixel size and Sony IMX371 sensor. For connectivity,it has 4G VoLTE,GPS,/GLONAS,NFC,USB TypeC,Wifi hotspot,Wifi 802.11 a/b/g/n/ac and Bluetooth,but avoided 3.5 mm audio jack.It is equipped with light sensor,proximity sensor,gyroscope and Compass.For security it has both in display finger print sensor and face unlock system. The handset will have two variants according to its color which includes Mirror black with ceramic finish and Midnight black with metallic finish.The device has been priced as $549 for 6GB/128GB model and $579 for 8GB/128GB model.Its 8GB/256GB variant will cost approximate $629 un USA.It will go on sale from November 1st in USA.